and today widely cultivated as a medicinal plant in Korea, the southeast of France and the United States. compounds from the therapeutic point of view are flavonoids and diterpenes. The flavonoids are represented by about twenty flavonol glycosides, quercetin and kaempferol 3-rhamnosides and quercetin and kaempferol, and by biflavonoids (amentoflavone, bilobetol, 5- mehoxybilobetol…). 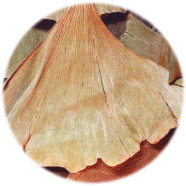 Ginkgo biloba leaves also have flavan-3-ols and proanthocyanidins. Ginkgo biloba diterpenes, known as ginkgolides A,B, C, J and M, have and hexacylic structure characterized by a spiro- [4,4]-nonanic sequence, a tert-butyl group, and three lactones rings. early stages of Alzheimer’s disease, poor circulation to the extremities, intermittent claudication, tinnitus and hearing loss. flow may experience a mild, transient headache for the first and second days of use. 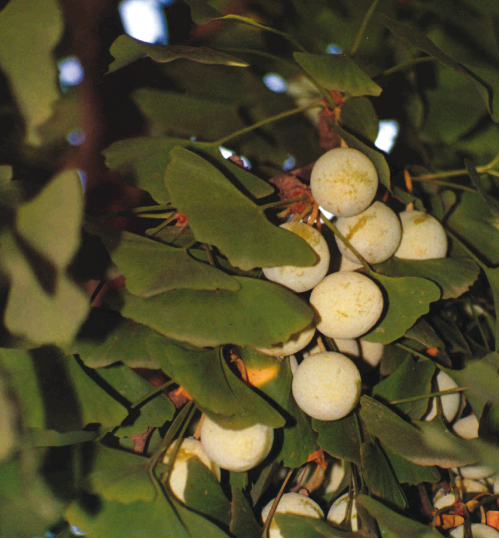 to the use of ginkgo biloba extracs during pregnancy or lactation have not been reported.